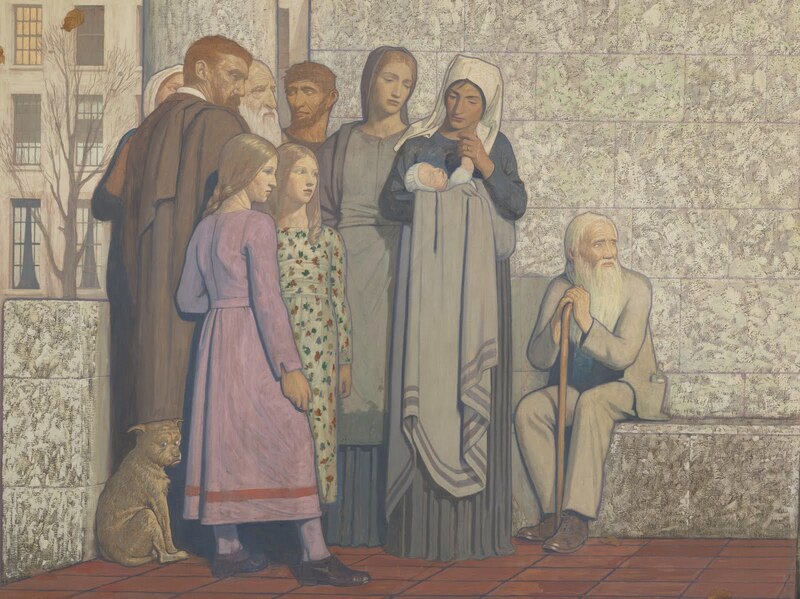 There is a new audio slideshow on the BBC website about the Wellcome Library’s paintings Acts of mercy by Frederick Cayley Robinson. 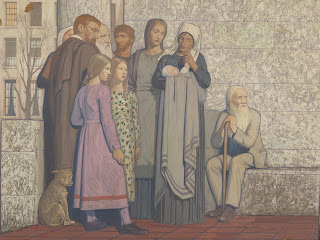 The presentation, by Paul Kerley, marks the opening of the new exhibition at the National Gallery, in which the four paintings from the Wellcome Library are shown together with other paintings by Cayley Robinson and Italian and French paintings from the National Gallery which influenced him. 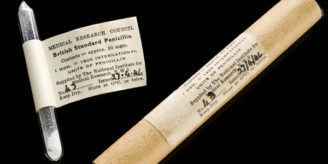 The exhibition is supported by the Wellcome Trust. The slideshow includes a commentary by Judith Bradley, a former nurse at The Middlesex, affirming how much the paintings meant to her and to other student nurses in the 1970s when they came off a thirteen-hour night shift in a state of exhaustion. The second half, accompanied by mournful music, shows the last days of the (now demolished) hospital, when the paintings were homeless. 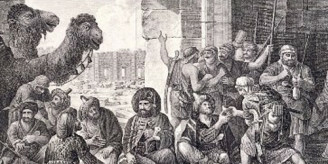 The conclusion shows the recent reinstallation of the paintings in the Wellcome Library. However, the installation in the National Gallery will be a revelation even to those familiar with the paintings. Newly framed, spaciously hung, and enhanced by dedicated lighting, the paintings will be on show in the National Gallery’s Sunley Room until 17 October 2010 (admission free).